Fr. Gil made his first promises to the Paulist Fathers on August 5, 1989. He was ordained a priest on May 13, 1995. 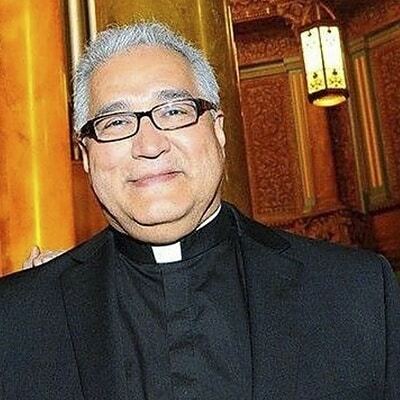 He has served as pastor at St. Sebastian Church in Los Angeles and St. Cyril of Alexandria Church in Tucson, AZ. Prior to these assignments, Fr. Gil was director of campus ministry at the University of California at Berkeley. His other assignments were at the Saint Jude Cancer Research Hospital in Memphis, TN, and associate director of the Paulist Center in Boston. A native of El Paso, TX, Fr, Gil was reared in California. He completed a bachelor of science degree in conservation of natural resources from the University of California at Berkeley. He worked for seven years as a National Park Service Ranger at Grand Canyon and Big Bend National Parks before joining the Paulist novitiate.